The diesel car scrappage scheme being considered by the Government offers poor value for taxpayers’ money and fitting older bus engines with environmental filters could achieve the same result for a fraction of the cost, according to a new report published today. Although diesel cars are the biggest producers of roadside air pollution, fitting air filters to older buses is the easiest and most cost-effective way to tackle the public health emergency that the UK is facing, the study found. New analysis published today reveals that “bus retrofitting” would cost the taxpayer just £12 per kilogram of Nitrogen Oxides saved[i] – 15 times less than a diesel scrappage scheme, which could cost £175 cost for every kilogram saved[ii]. Similarly, a bus scrappage scheme to replace older diesel buses with the latest clean models would cost £16 per kilogram of NOx saved[iii] – providing 11 times better value than a diesel car scrappage scheme. The findings come amid growing speculation that the Government is to announce a diesel scrappage scheme in its new clean air strategy. It follows mounting evidence of an air quality crisis which is causing between 40,000 and 50,000 deaths a year in the UK. The Royal College of Physicians has linked air pollution to cancer, asthma, stroke, heart disease, diabetes, obesity and dementia. Today’s statistics are published in Improving Air Quality in Towns and Cities, a new report commissioned by Greener Journeys, the sustainable transport campaign. It is written by Professor David Begg, Visiting Professor at Plymouth University and former chairman of the Government’s Commission for Integrated Transport. The report says that if the Government is serious about tackling air quality in towns and cities across the UK, it must “put the bus at the centre” of its strategy. The latest Euro VI diesel buses produce 95% fewer emissions than the previous models, and less emissions overall than a Euro 6 diesel car[iv] despite having the capacity to carry 15 times more passengers. On a per passenger basis, modern diesel cars produce 10 times more emissions than modern diesel buses. From 2020 some high polluting vehicles, including older buses but not cars, will be charged if they enter five new Clean Air Zones in England. Without Government support, the report warns that bus operators will be forced to increase fares by up to 40% and cut services to survive. 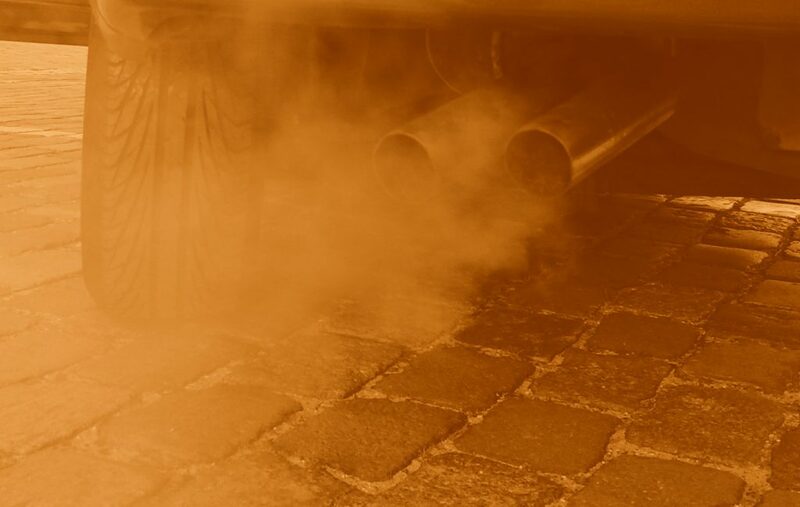 The report also calls for Government to tackle one of the biggest root causes of the problem by including private diesel cars in the five new clean air zones, which are being established in Birmingham, Leeds, Nottingham, Derby and Southampton. “The most effective way to reduce air pollution is not to replace older diesel cars with newer models – it is to reduce the number of cars on the road and invest in clean public transport which can dramatically cut the level of emissions per passenger. “Air quality is among the most pressing concerns in towns and cities across the UK, and this vital report highlights the key role of buses as an integral part of the solution. “Not only are the latest diesel buses cleaner than diesel cars, but taking cars off the road would also help reduce congestion, which causes tailpipe emissions to be increased by up to three or four times. [i] Retrofit of Euro V diesel buses. Based on NOx emissions travelling at 25km/h, with buses travelling 65,000km in urban centres per year and retrofit costing £17,000 and lasting 5 years. For a copy of the report please contact greenerjourneys@mhpc.com or download here after embargo.